Provide comfort for the family of Walter Fuller Taylor Jr. with a meaningful gesture of sympathy. Dr. Walter Fuller Taylor, Jr. died February 22, 2019 in Nashville, IN. He was born June 11, 1927 in Jackson, MS, the son of Dr. Walter Fuller Taylor, Sr. and Florence Elizabeth Ferguson Taylor. He spent his early years in Clinton, MS and distinguished himself early with his talent in art. He drew several cover pictures for the Mississippi Educational Advance while still in grammar school. During World War II, he served in the Merchant Marines from 1944 - 1945. Walter enlisted in the U.S. Army in 1946 and served in the Korean Occupation with 6th Infantry Division and 42nd Engineer Battalion. Afterward, he went on to earn a B.A. degree at The University of Mississippi in 1951. After earning his PhD in American Literature from Emory University, he served on faculty at Louisiana State University, LA before becoming professor and Professor Emeritus at The University of Texas El Paso. 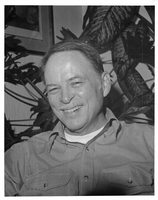 Including summer studies he also taught American Literature at Georgia Tech, LSU, SUNY Buffalo, and Hawaii. He published one novel, A Ticket To Somewhere. His book Faulkner's Search for a South found its place as one of the standard studies of Nobel Prize winner William Faulkner. A staunch civil rights advocate, Walter pioneered his university's offerings in black literature. Walter's first wife was Myrtis Moore of Tupelo, MS. He later went on to marry Patricia Murphy and promptly adopted her five children. The eldest, Lauren M. Taylor sadly passed away earlier this year. After his marriage to Patricia, Walter met Nancy Seward Kochery in Buffalo, NY. Walter and Nancy were married in 1973 and lived a long and loving life in El Paso and moved to Bloomington, IN in 2006. Nancy passed away in 2012 and Walter lived in Nashville, IN until his passing. Walter will be truly missed by all who were fortunate enough to have him in their lives. He had a quick mind and a wonderful sense of humor, he was a good and kind man. Walter is survived by his four children, Dwight T. Taylor, Kelly Taylor (and his wife Karin), Julia G. Taylor, and Chris Taylor, step-sons, Tim S. Kochery (and his wife Mary Ellen), Peter B. Kochery, and Kevin B. Kochery, brother, Dr. (LTC) Donn Taylor of Woodlands, TX, and four nieces and nephews. Walter was blessed with grandchildren from both the Taylor and Kochery side of the family. Walter will be laid to rest with his beloved Nancy in Dunn Cemetery in Bloomington, IN. We encourage you to share your most beloved memories of Walter Fuller here, so that the family and other loved ones can always see it. You can upload cherished photographs, or share your favorite stories, and can even comment on those shared by others.